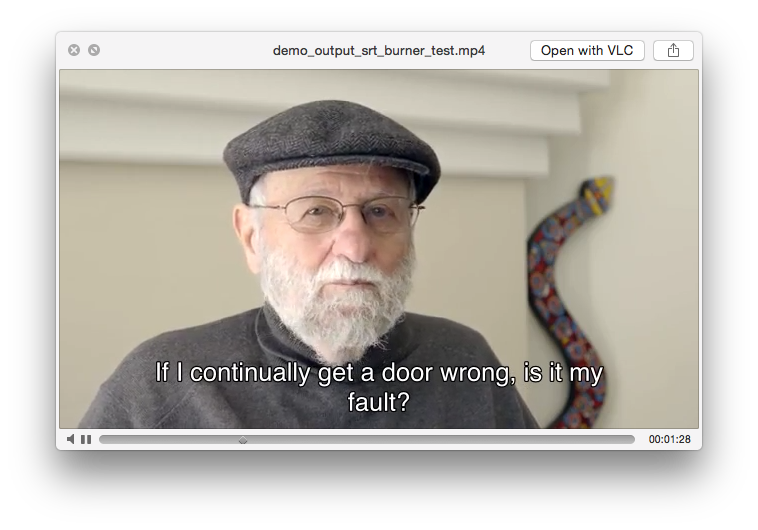 Mc os x desktop app that given a srt and a video burns the captions onto the video. 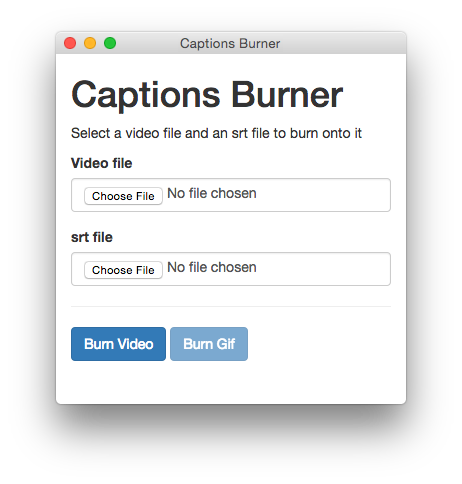 Can also export as gif. Here's an example screenshot of what that would like on the video.